Scania, the world’s leading provider of transport solutions, has joined hands with GCC Olayan, its exclusive Saudi distributor since 1981, to launch its new and complete truck range in the kingdom. Its new truck generation is extending its offering, and can now, with its unique modular system, supply more performance steps, connectivity, and a comprehensive palette of productivity-enhancing services as well as customised transportation solutions, said a statement from Scania. The promise is that Scania's customers will always be able to carry out their work in the most sustainable and profitable way, regardless of industry and area of application. With the complete new truck range, which includes the Scania XT and heavy tipper vehicles, Scania is setting a new standard for what is premium in the transport industry, said the company in its statement. The result of ten years of development work and investments of over two billion Euros, the new truck generation builds on the values, strategies, and innovations, which for the past 127 years have made Scania an industry leader, it added. Scania’s heavy tipper is a robust partner developed for optimised performance in the toughest conditions, at a significantly lower cost per tonne and an excellent equipment-to-payload ratio, at a 25 per cent payload increase. The Scania XT offers a solid design that caters to customers who carry out the most challenging tasks with the toughest demands in terms of uptime, productivity, and robustness, with enhanced features to deal with the various challenges the vehicles face in their daily assignments, said the statement from the company. Loaded with enhancements, the new truck range further improves Scania’s already strong fuel performance due to factors such as improved powertrains and better aerodynamics. Another notable feature is the availability and offering of 24 different cab models. With driver’s safety at the forefront of Scania’s goals, the new truck range also provides the world’s first rollover side curtain airbag, it noted. 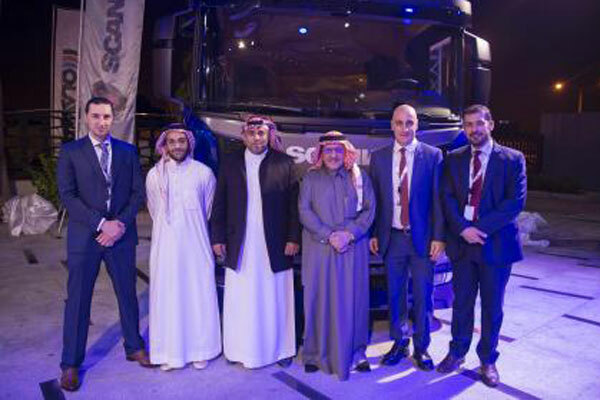 Speaking on the Saudi launch, Özcan Barmoro, the managing director of Scania Middle East, said: "Our new truck generation aims to drive the evolution of the transportation industry in line with Saudi Arabia’s strategy to develop the transport sector with a focus on safety, effectiveness, efficiency and technology." "Inspired by our core value of putting customers first, global trends and challenges, this generation of trucks is designed to better meet the needs of our customers and the world we live in. It has efficiency in both fuel economy and performance incorporated into a design inspired by the Scania heritage," he noted. "Our new truck range will contribute to the ambitions of Saudi Arabia to shape the future of its transport industry, powered by innovation," he added. Ibrahim Abudayeh, the regional general manager of GCC Olayan, said: "We prioritise the delivery of complete effective solutions to our partners in the kingdom. Having been the exclusive dealer for Scania for over 38 years, we welcome the new developments demonstrated by the new truck generation, which will transform the logistics, transport, construction, and mining industries in line with Vision 2030."